(NOT AVAILABLE FOR SEASON) This home has an open floor plan. It is airy and a lot of light through out makes this home sparkle. It is beautifully decorated from beginning to end with a King bed in the Master Bedroom with double sinks in the Master Bath. There is a lovely queen size bed in the 2nd bedroom. The 3rd bedroom has a trundle bed for extra guests, along with 2 pull out sofas in the living room. This home is a stunning place to relax in paradise on the Gulf Coast of Florida. This home includes Comcast's newest TV/Video and internet services with high speed Wi-Fi. The PRIVATE saltwater pool has a view that provides a relaxing and peaceful swim. The Owner will consider long or short-term leases. 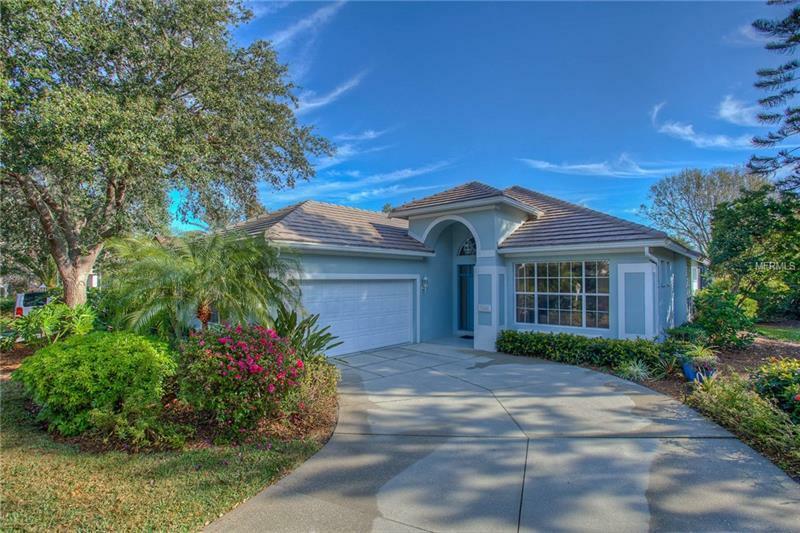 This home is located in the exquisite University Park, a gated community of individual private neighborhoods. University Park is a community with an amazing attention to detail, a focus on visual aesthetics, and natural preservation. The Community offers 27 holes of Champion Gulf open to the public. With a Fitness Membership enjoy the state of the art fitness center and the 11 lighted Har-Tru clay tennis courts. University Park is located between I75 and SR301 off University Parkway on the Gulf Coast of Florida. It is minutes from the Gulf Beaches, Downtown Sarasota, Sarasota International Airport, the famous St. Armand's Circle, Longboat Key, and Siesta Key, It is also just minutes for The Mall at University Town Center providing world-class shopping.